According to Ayurveda, cardamom is good for balancing all three doshas. 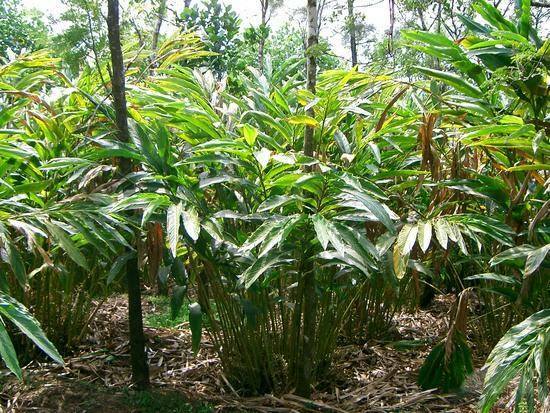 It has been used for centuries in India, Middle East and South East Asia and Scandinavia. In a recent clinical study, 3 grams daily was given to adults with high blood pressure for 12 weeks. Not only did they report feeling better, but their blood pressure was significantly decreased and their antioxidant levels had increased by an impressive 90%.Cardamom is considered an excellent digestive, especially beneficial in reducing bloating and intestinal gas. It is excellent for balancing Kapha, particularly in the stomach and the lungs. It can also be used to pacifying Vata. Along with roasted fennel seeds, the cardamom seeds is delicately flavored and often used after meals in India as a breath freshener. The health value of cardamon is literally infinite. Researchers have found that cardamom’s very rich content of known cancer-fighting antioxidants such as eucalyptol, alpha-pinene, beta-pinene, d-limonene and geraniol—among many others that are not yet well researched. It can boost levels of antioxidants such as glutathione, catalase, superoxide dismutase by up to 22-fold. 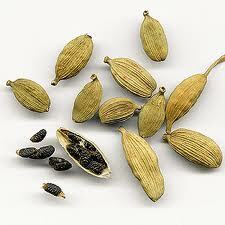 In cooking cardamom is a splendid ingredient in baking, in sweet sauces and puddings, and in fruits salads. Try a large dash of cardamom as a dressing in your quinoa-carrot-apple salad salad or drop a few cracked cardamom pods to lend flavor to millet, bulgur, or rice while cooking. A beverage of warm almond milk with a dash of cardamom after dinner is simply blissful way to end your evening.